The March issue of Nickelodeon magazine has finally hit the stands. A couple of months ago, I painted this cover image, and I've been eagerly waiting for it to come out because I think it's my favorite painting so far. I tightened up the drawing in pencil. Here's a screen capture from when I was inking the drawing in Adobe Illustrator. If you click on the image below, you can see a full-size version of my desktop at the time. After inking in Illustrator, I exported the line art into Photoshop. In Photoshop, I split up the drawing into layers and colored the outlines on SpongeBob and Patrick. Then I saved it and imported it into my favorite painting application, ArtRage 2.5. In this screen grab, I'm blending the colors for Patrick and his pants. This close-up from the ArtRage interface shows a little more detail about how I apply the paint. You can see that I have a reference image open so that I never stray too far from SpongeBob's standard colors. I like to play around and get really sloppy with the digital paint because I know I can always press undo. If I go too far. This is where I start laying in the colors for the sky. The bubble gum will have to wait until I bring it back into Photoshop. Normally I avoid the airbrush tool like the plague, but for painting bubblegum bubbles, it seemed to be the appropriate choice. Back in Photoshop, I'm drawing the clouds in the sky. That little white scribbles underneath the red cloud is just a guideline. I set down before or using a Photoshop paintbrush to draw the cloud shape. I used a gaussian blur to push the clouds back into the distance. It took quite a while to get those bubbles to look like real bubblegum. Trust me when I tell you that I was looking at dozens of reference photographs to try to capture the right transparency, highlights and shadows. I keep almost all of my elements on separate layers so that the art director can move things around as needed. I also paint way outside the planned crop marks, which gives them a lot of freedom to resize things if they want to. So the finished cover always looks a little bit different than the original. This was just a brief overview, but in about a week I'll go back into the process from the beginning and show you all the different rough sketches that I worked on during the idea phase. This time around, I used screen recording software to record the entire painting process from start to finish. If you all are interested, I can go into as much detail as you can stand -- so let me know if you want more! 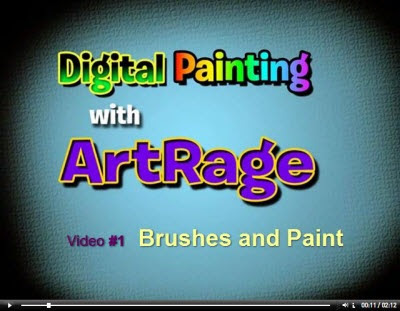 UPDATE #2: ArtRage tutorial Videos have begun! Thanks Ryan -- your comics totally crack me up! Holy process, Batma---err...Sherm! I just noticed the reference pin-up feature because I saw it in your screen shot. Love that ArtRage! Great post. AWESOME, SHERM! This post is pure gold! Great drawing. I can't wait to see ArtRage in motion. I'm 90% sold on the program and that I need to buy it, but I'd like to see if it takes a lot of work to make it look as great as you do. If there's one thing I've noticed, it's that talented people make things look easy to do. Can't wait to see your vids! Also, this is great educational material if I ever get some freelance stuff. I never thought to make the comp a lot bigger than the final product for resizing and doing everything on layers so that the art director can push and pull stuff. Thanks Sherm! I'd definitely like to see more! Bob -- I use that reference pin-up feature all the time...especially to quicky sample color from reference photos and model sheets. Chris --thanks for the enthusiasm...next post in the series will show ALL of the idea sketches, including all the bad ones! I think it helps to show that sometimes you have to plow thru a pile of junky ideas before you get to the good ones. After that, posts will go into inking in Illustrator, coloring the linework in Photoshop, and then painting in Artrage. So stay tuned! ooh ooh I'd love to see more! Another great cover Sherm! Can't wait to see another post- thanks for sharing! Great information Sherm. Thanks for lifting the curtain. Hi Chris -- Thanks for the nice words...There's more coming on Monday! Awesome blog Sherm! I really like this post. VERY informative! Love the work you did in Illustrator inking. I wanna learn that! I'm really encouraged by everybody's responses to this post. After the next post on roughs, I'll start sharing the videos! Hi Mike...the funny thing about these digital art methods is that everyone seems to figure out their own unique process. My coloring technique is a little tedious, but it gives me a lot of control and it works. The rough sketches and video inking demos are going to come during the next week's posts, but I will make sure to be thorough when I get to the topic of coloring line art in Photoshop soon. I'm glad you mentioned it...that way I know what you all are most interested in. More soon! Nice one, Sherm! I immediately tried Artrage after reading your post! It is a nice and cheap alternative for Painter. Too bad it hasn't got a sponge brush in it, I love sponge effects in backgrounds! Thanks for the wonderful video tutes! Beautiful stuff as always! I have a question....why could you not use "colored" brushes in Illustrator in the inking stage rather than color the lines in Pshop? Ok,...so it's a dumb question,...but I plead ignorance due to not ever using Illustrator. ArtRage in the limelight again. Hi Todd -- Long time, amigo! I probably could use a colored line, but sometimes (like on Patrick's body) one line has different colors. I seem to recall that I had some trouble with the Illustrator color picker, so I think I just blew it off. Do you use the Illustrator colors? If so, how does it work out for you? I'm always open to new techniques...for example: I'm coloring my lines in Photoshop using the "lock clear pixels" option after a commenter told me about it! Good to hear from you again Todd -- let me know when there's a new Togo update! Sherm,....what a dope I am!! Never dawned on me about different colors on the same line due to various circumstances in the design. Sorry. I wish I could try out Illustrator CS4 some more,....but my trial has expired and my budget will not allow for that expense. This really hurts as I think it looked like the answer for me. At home, my family is on "layoff" alert as we have managed to dodge the last two. Scary stuff! Anyway,...no sob stories here!! Togo is VERY MUCH alive and well. Just finished up a new major supporting character in the story and my son was allowed to name the wacky professor. Professor Perley I. Peeps was born!!! Thanks for the tutes Sherm,....they are fantastic and very telling about your generosity in sharing your skills and knowledge. Ever try Inkscape? Version 4.6 promises to have an eraser tool and it's vector baby!! Free too. 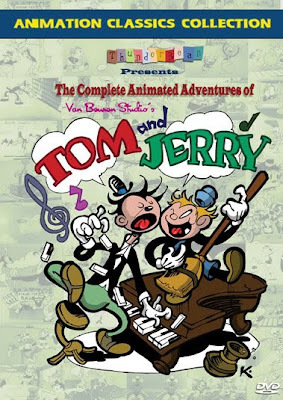 Looking forward to more HECKLE and JECKLE stuff too! Hi Todd...great to hear from you...I've been meaning to tell you that your Podcast with Underdog's Joe Harris was fantastic! I especially liked the parts about the Trix rabbit. Wow,.. Great painting picture, i like it, spongebob is very cute,..
Oh My Gosh, that is so cool! I love seeing how its done, so much talent. Awesome, just when I ran out of painting process mentioned on google and other blogs, we get this. great! Cute and Horrible! Over 8 Inches Long! Fun With Dead Animals -- All Secrets Revealed! Storyboard Software from Apple --Coming Soon?